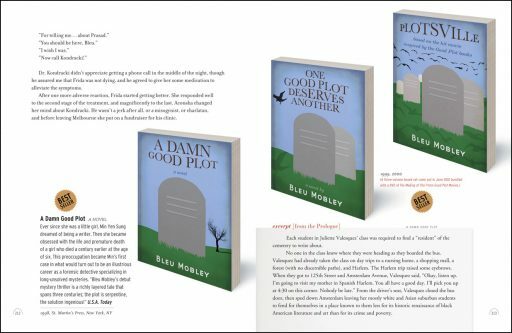 An illuminated novel containing 101 books within it (replete with cover designs), all written by a controversial author who finds himself in prison looking back on his life and career. 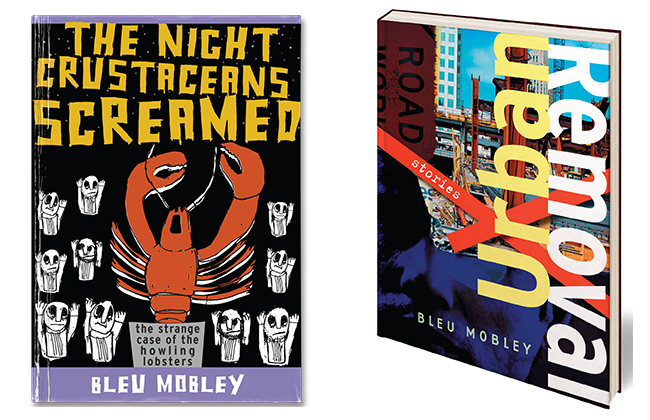 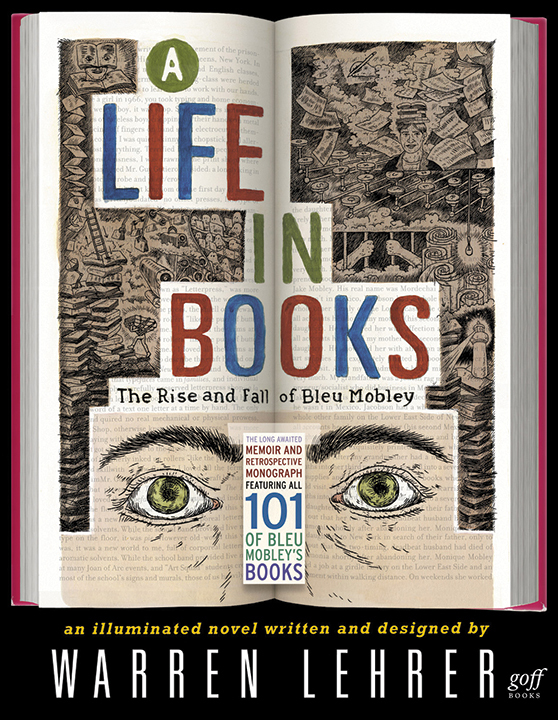 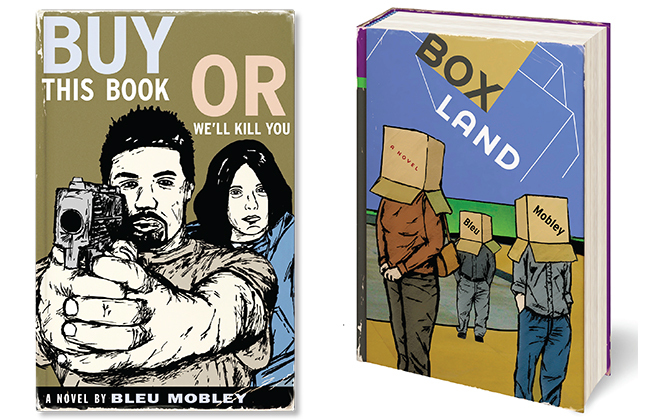 A Life In Books: The Rise and Fall of Bleu Mobley is an illuminated novel containing 101 books within it, all written by Lehrer’s protagonist, author, Bleu Mobley, who finds himself in prison looking back on his life and career. 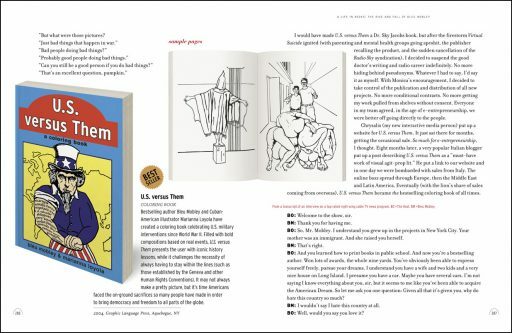 Written and designed by award-winning author/artist Warren Lehrer, A Life In Books is an extraordinarily original, funny, heartwarming and heart-wrenching exploration of one man’s use of books as a means of understanding himself, the people around him, and a half-century of American/global events. Rich with stories that spring from other stories, this genre-defying novel orchestrates a multicultural symphony of characters from Bleu’s life and books: lovers, mothers, children, friends, enemies, teachers, students, runaways, rebels, thinkers, dreamers, believers, skeptics, the displaced and dispossessed. 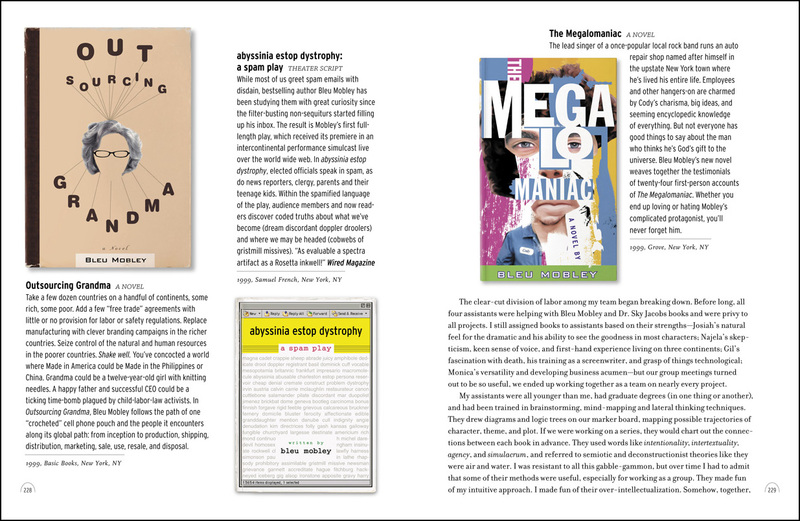 It celebrates the mysteries and contradictions of the creative process, and grapples with the future of the book as a medium, and the lines that separate truth, myth, and fiction. This four-color, full-length novel—containing over 101 hilarious and scrumptious book cover designs (and book-like objects)—fuses art and literature, and distinguishes itself as one of those books you’ll want to hold in your hands, feast your eyes on, read and re-read, share with friends, and treasure for years to come.